Riffed from the headlines is our weekly news quiz where we choose three riffs linked by one story in the news. Guess the story that links the riffs and you could win a Day 6 tote bag. Last week's clues were Jane's Addiction with Been Caught Stealing, Tom Jones with It's Not Unusual and XpertThief with Fortnite Rap. Jennifer Doyle of Waterloo, Ontario correctly guessed the headline we were looking for: Actor Alfonso Ribeiro sues Epic Games for use of "Carlton dance" in Fortnite. Congratulations, Jennifer! A Day 6 tote bag is on its way to you. You can listen to this week's clue above and email us your answer at day6@cbc.ca. 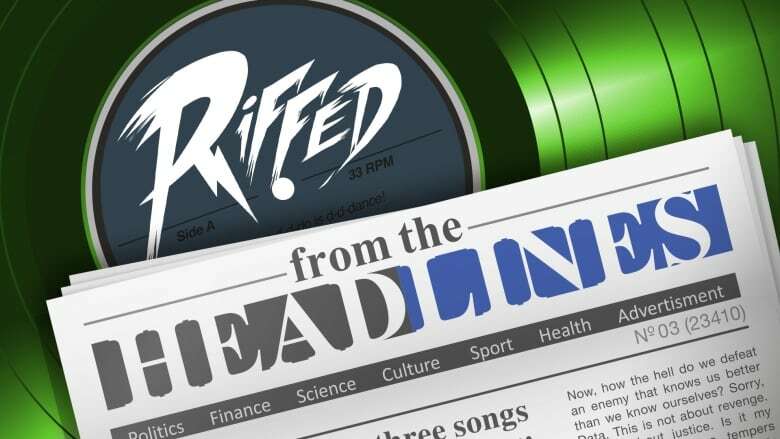 Make sure to include your mailing address and put "Riffed from the Headlines" in the subject line.